Dr. Yuanyuan (Kay) He is a composer and video artist with roots in China. Her works often explore and intertwine various forms of media to create unique audiovisual experiences that engage the audience. Many of her works involve collaborations with choreographers, dancers, video artists, audio technicians, and stage lighting and design artists. As a multimedia composer, she is very active in the music community. Kay serves as the Creative Director for Electronic Music Midwest (EMM), which is an annual music festival dedicated to programming a wide variety of electroacoustic music and providing high quality electronic media performances. She is also the founder and Director of the Turn Up Multimedia Festival, which works to promote Interdisciplinary Collaboration, Culture-Connecting, and Equality. She is currently Assistant Professor at the University of Arizona, where she teaches composition, electro-acoustic music, and orchestration. During her career, Kay has won many awards and been selected for many performances in the U.S. and abroad. Of note, her piano trio Imprint of the Spring Breeze ​won the grand prize at the 2nd ACC International Composition Competition in 2017 (Gwangju, South Korea). ISCM selected the flute and electronics piece On the Pivot of an Abandoned Carouselfor its 2016 World Music Days (Tongyeong, South Korea). Passeig de Grácia for orchestra was selected for the 2015 ACO Underwood New Music Readings (New York, NY). On the Threshold of a Drizzly Reality for cello and electronics was selected for 2014 performances at the International Computer Music Conference (ICMC) in Athens, Greece and the Root Signals music festival (Jacksonville, Florida). Shadow of Dewdrops was selected as a finalist for TICF2015 (Bangkok, Thailand) and the 2014 installment of Gamma UT (Austin, TX). Legends of Old Peking won the 2012 Seattle Symphony Celebrate Asia Composition Competition. 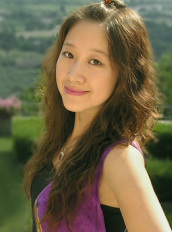 Dying Away won the 2011 DuoSolo Emerging Composer Competition (Cortona, Italy). And, Destiny of Sputnik was chosen for the 2011 Beijing Modern Music Festival Young Composers Project.